It was reported yesterday that Flickr’s staff accidentally deleted a collection of more than 3500 pictures of one of its members. In this grave mixup that can infuriate the most calmly person, Flickr’s staff deleted an active account without even having a second thought or atleast moving it into deactivated state. Mirco Wilhem who was a five year member of the Yahoo owned photo sharing website was denied access to his regular account. When he tried to inquire into this, an email from Flickr confirmed his worst fears. Wilhelm was surely not happy with this. Wilhelm who works in the IT is also a photographer and used Flickr as his primary account for storing his work. 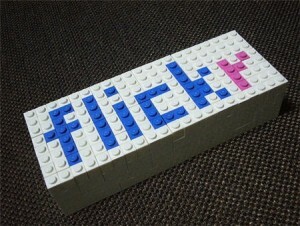 Flickr says the mix-up began after Wilhelm submitted a support ticket to Flickr concerning the account of another user who he suspected of stealing his photos. Flickr today offered free pro membership to Wilhelm for 25 years and also said that it will be restoring all his lost images. I would imagine Yahoo would do that by grabbing that disk drive and trying to do a disk recovery of deleted data. But then considering that the disk is part of a huge cluster of disks, I don’t see a restore happening.